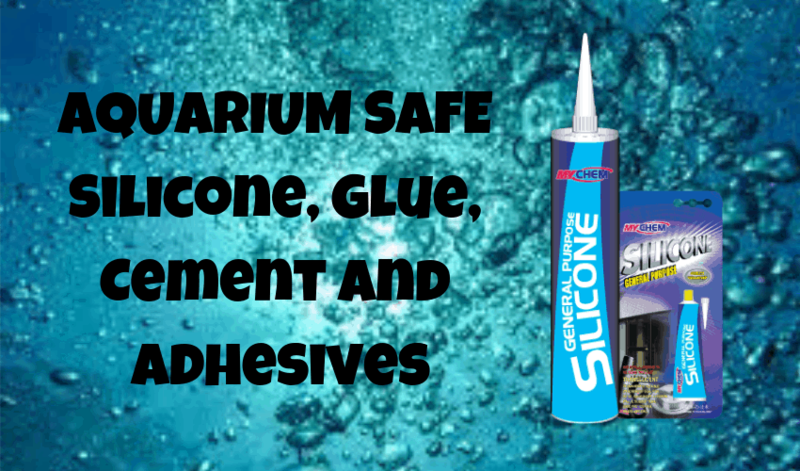 Blog Silicone,Glue,Cement,Adhesives.W​hich Are Safe To Use In An Aquarium? Your aquarium is the safe haven where you house your fish. Your fish rely on you to provide an environment where there can live a healthy life. Which is why you have to make sure that it is as safe as possible. Many people often ask questions related to what is and what is not safe to use in a home aquarium. This a very valid question that can cause major issues in the aquarium if you do not know what is and what is not safe. In this article, we discuss what is and what is not safe for your fish regarding the use of silicone, glue, cement and adhesives which are safe to use in an aquarium. Which Silicone, Glue, Cement, Adhesives are safe to use in an aquarium? The safest glues and silicones to use in aquariums are ones that are non-toxic and designed for aquarium use only. Don’t risk using any glue or silicone without checking it’s suitability first. If you’re unsure, simply do not use it and ask you local aquarium shop for advice. Silicone – Best suited to bonding glass to glass. This is a thick substance which takes about 10 minutes to form a skin and around 24 hours to cure fully. However, if you’re using it to construct a large glass tank, it can take between 3 & 7 days to cure completely – patience is required before you do a water-fill test! The type of silicone you choose is very important as it must be 100% silicone. If it has additives such as mold inhibitors or if it says that it’s mildew resistant, these are definitely not safe to use in your aquarium as the additives will poison your treasured fish. Regarding which brand of silicone to choose – well, there is little difference relating to strength, consistency, quality and price. One brand is pretty much the same as another. If you’re a frequent user of silicone, it’s best to stock up when you see them on special offer or during sale-time. We found the best prices for this were on Amazon Click Here. Glue – Best suited to the repair of small decorative items in your aquarium as it sets very quickly. The Gel-type super-glue is most popularly used in aquariums because it can also be used to bond plants to driftwood or rocks etc. One thing to bear in mind is that super-glue is harmless once cured. It’s also more common than cement because it’s easier to find. Instant Glue is available from Amazon Click Here. Cement – No, not the mortar/builders-type cement! This is a substance that is of a clear, water-thin consistency which is used to bond acrylics and plastics. It bonds on a molecular level, meaning that once applied, it softens the acrylic/plastic material then evaporates; what is left behind is an acrylic/plastic welded seal. This process takes minutes to complete. It is normally bought in a pint-sized tin. There is another type of cement which comes in tube form, this is a thicker-type substance, similar to that of silicone. It lends itself to filling gaps and surfaces which are not truly flat. This type of cement takes longer to cure than the water-thin type as it takes about 24 hours to cure fully and does not evaporate, unlike the water-thin variety. Aquarium cement is available from Amazon Click Here for prices. The main ingredient to both types of cement is methylene chloride. Adhesives – We explain two different types of alternative adhesives here – the Glue Gun and the Liquid Plastic Welder. Glue Gun – This is suitable for bigger jobs and is quicker to set than silicone. It has a similar consistency to silicone, and although it’s not so good for sealing leaks, it works well to bond things together such as when building your own aquarium decorations or when doing repairs. Once cured, it’s ideal for underwater use. A glue gun is surprisingly economical; the gun itself can be bought for around $10 upwards, whilst the glue sticks can be purchased from $5 upwards, depending on the quantity and color. Flourish Glue is available from Amazon Click here. The cure time using a glue gun is typically 30 seconds or so. Liquid Plastic Welder – This product comes in a pen-style format and can be bought in the region of $11.00 upwards. You simply squeeze the pen and it delivers a gel-like substance which will cure in around 5 seconds with the use of ultra violet light. It sets harder than the glue-gun type of adhesive and so can be sanded and shaped to suit your own needs, filling in chips and gaps. We found some good ones on Amazon Click Here for prices. It can also be used underwater as well as curing under water. As you can see, there are several options available to you for repairing damaged items in your aquarium, be they damaged decorations, leaking seals, plants and rocks that continuously become dislodged by the residents. The most important thing to remember is that whichever method you use, ensure that it will not harm your precious fish, by making sure that you use silicones, glues, cements and other adhesives which are safe to use in an aquarium and which do not contain harmful additives that may endanger your pet/s. Expoxy Aquarium safe glue is available online from Chewy.com one the biggest aquatic online retailers. 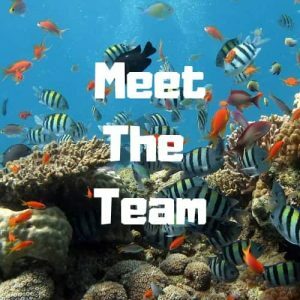 Hi, I'm Tariq - I'm one of the product testers here at Fishkeeping Forever. My job is to speak to all our fishkeeping team about the products they use and test them for myself. I have 15 Years experience in the product testing sector. I enjoy reading feedback from customers after they have taken my advice. Hopefully I have saved them time and money.